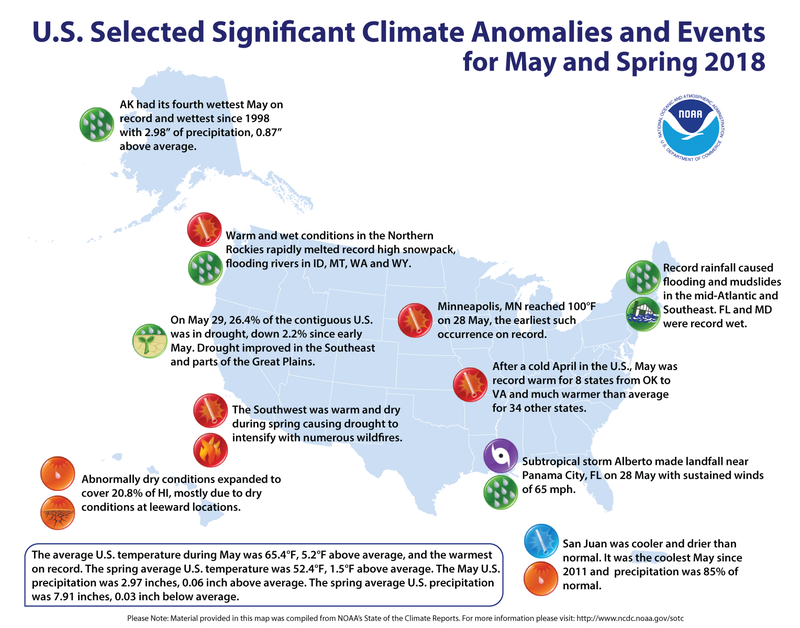 In addition to surpassing the average temperature over the entirety of the month, May also saw "more than 8,590 daily warm temperature station records broken or tied," NOAA noted. "This was 18 times more than the approximately 460 daily cold temperature station records during the month," NOAA found. "Several of the daily records were noteworthy, including 100°F on May 28 in Minneapolis, Minnesota—the earliest such occurrence on record."